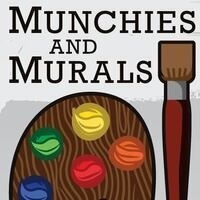 Join the UMC in The Connection for some Munchies and Murals! Start the year with a spark of creativity, a taco bar and a time to evoke the inner artist in you! All supplies provided. Paint-by-numbers kit includes a sample art piece to reference, an acrylic paint set, a set of brushes and a blank canvas. Free for all CU students, faculty and staff with a valid Buff OneCard at The Connection, first floor UMC.